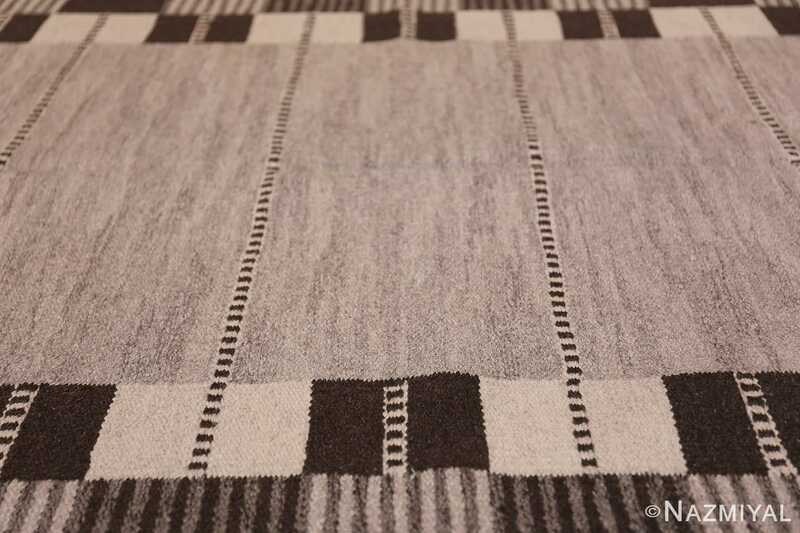 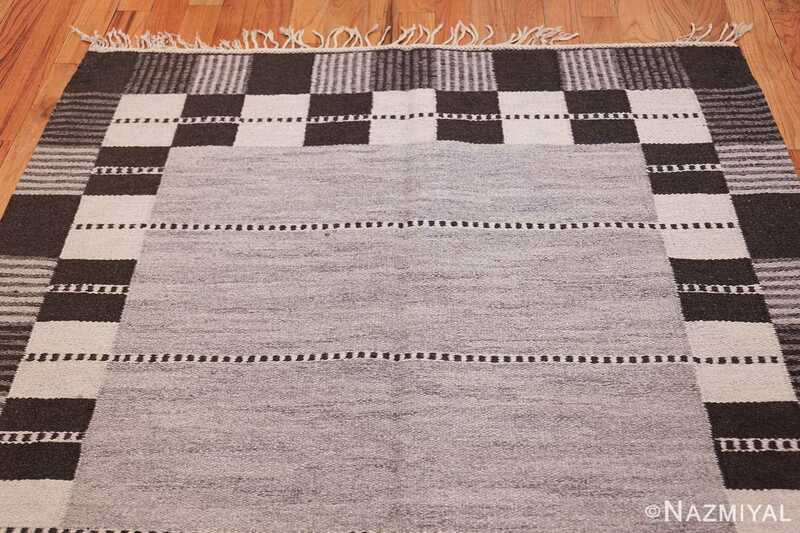 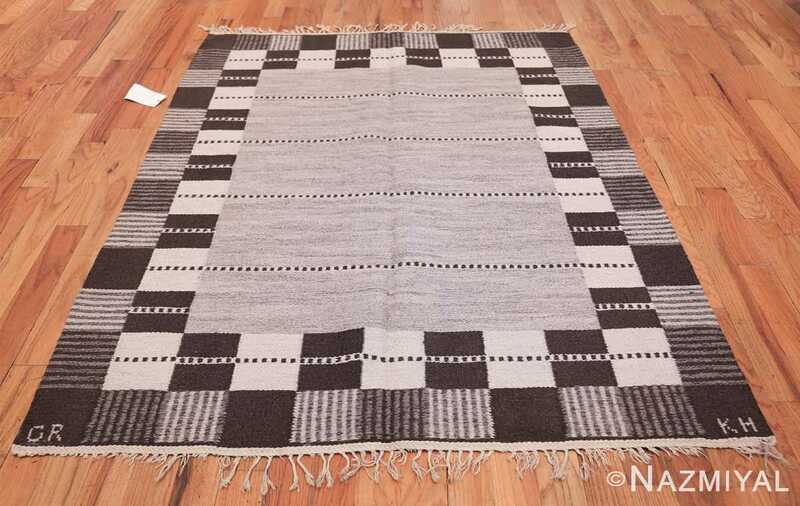 Vintage Swedish Carpet by Klockaregardens Hemslojd, Origin: Scandinavia, Circa: Mid-20th Century – This medium sized Scandinavian rug by Klockaregardens Hemslojd is a stark and bold example of the Swedish Kilim tradition. 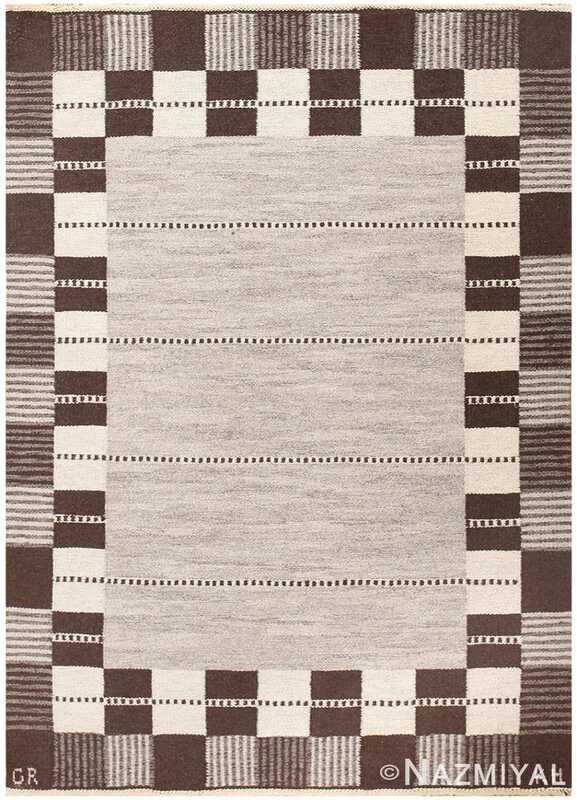 The simple yet striking use of dark browns and subtle off-whites arranged in equally simple, yet complex patterns creates an interesting visual space. 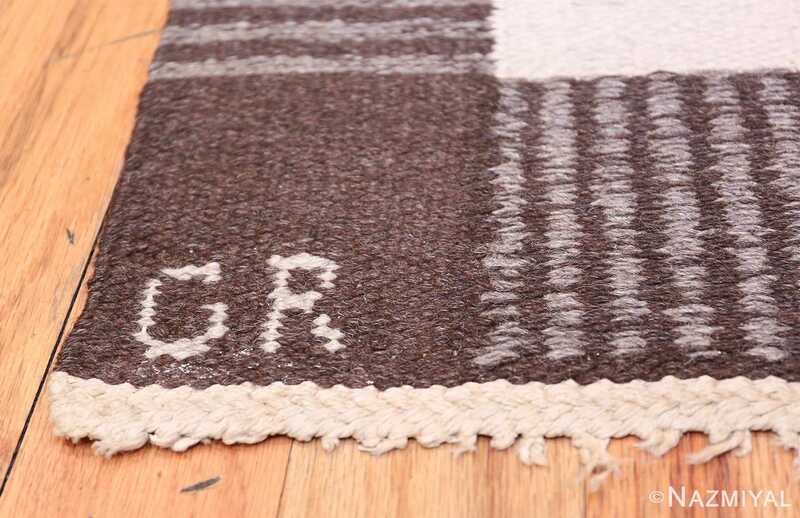 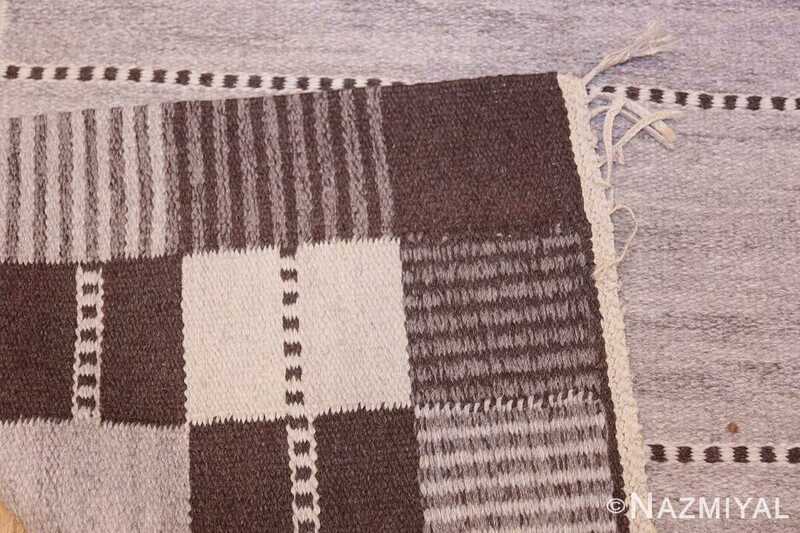 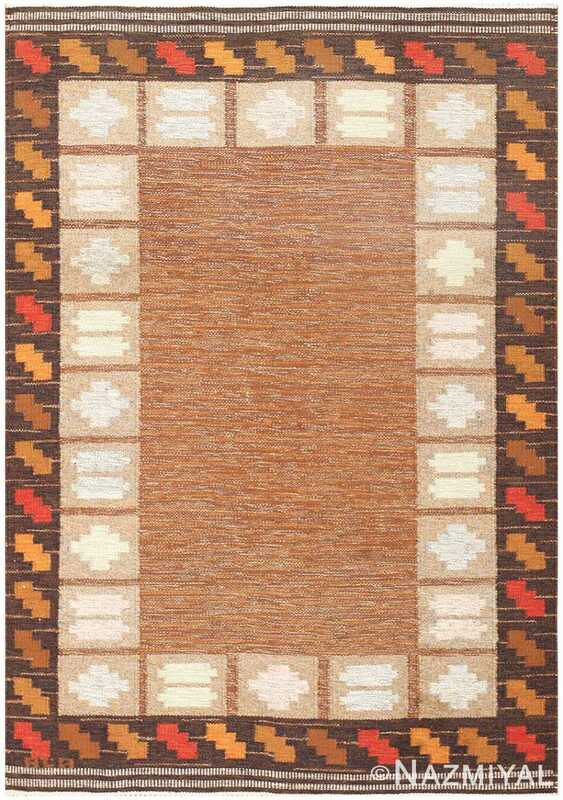 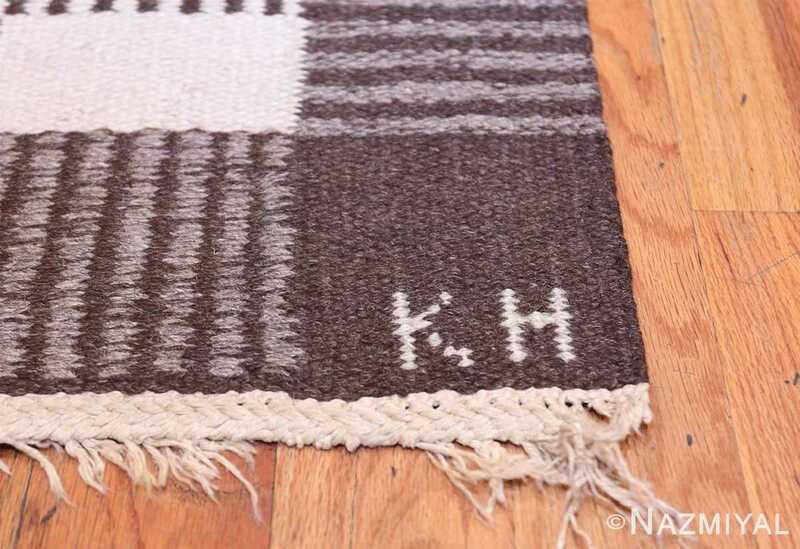 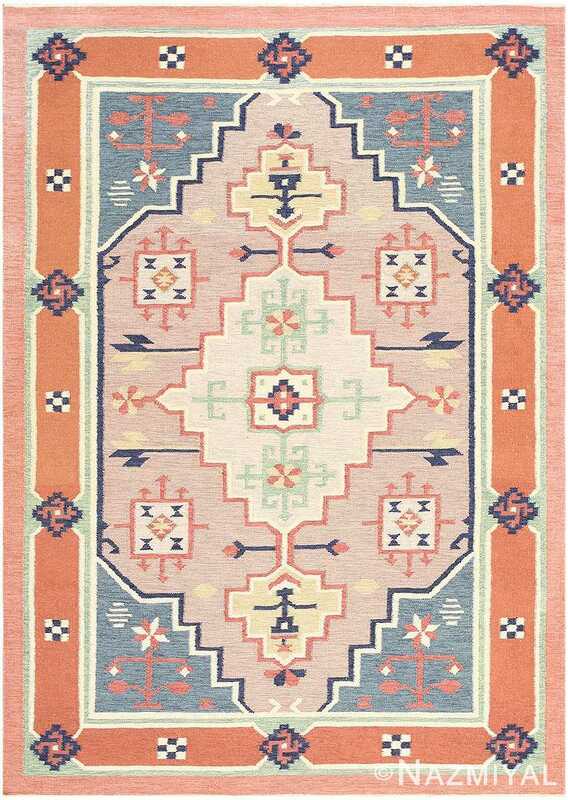 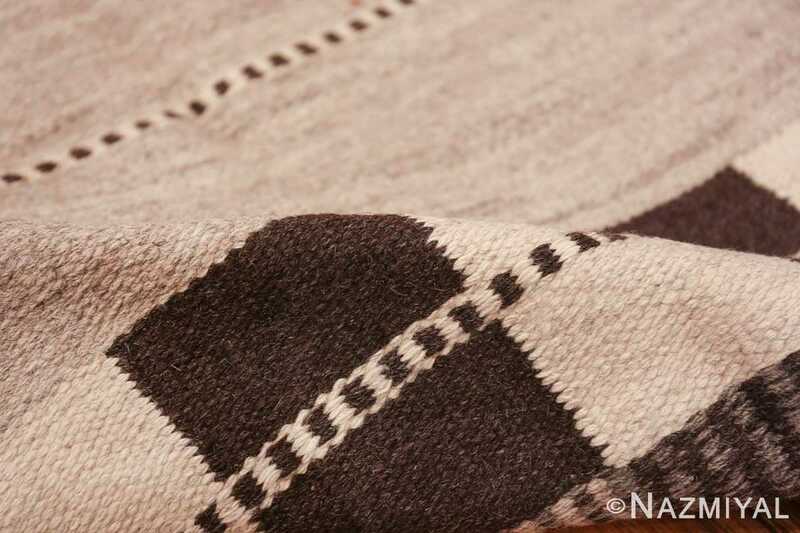 In the vein of a popular Kilim trend, the rug is bordered by a band of simple repeating patterns, which frames a plain field intersected by parallel hatched lines. 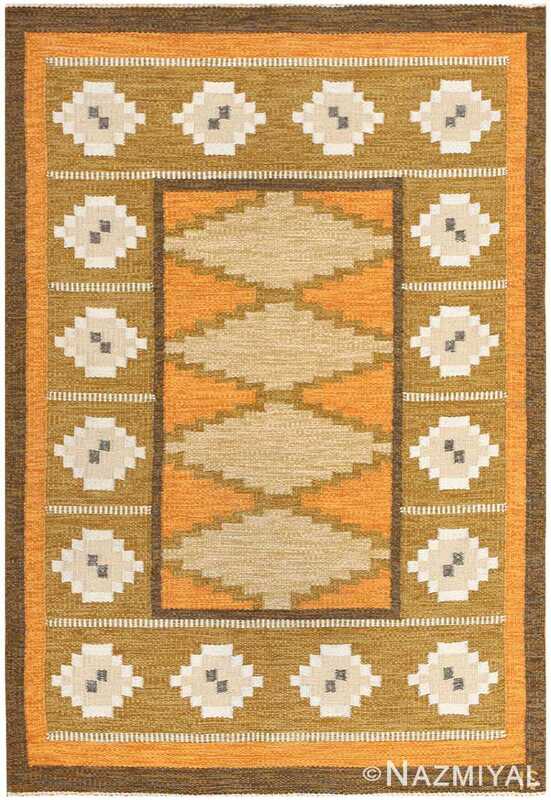 This rug represents a compelling combination of detail and simplicity; solid colors interspersed by tight banded stripes and heathered fields demonstrate a mastery of the art.